What are you going to do with the rest of your life – as an Elder Tween? There’s this pretty interesting-to-read blog, “Time Goes By – What it’s really like to get old.”? This piece, “Elder Tweens” rings a tone that many persons who might be considered “seniors” understand quite well. Read this article and follow your path … towards volunteering … towards a creative new venture … toward a fulfilling next step. The video is especially eye-opening. “Don Meade doesn’t like hospitals, but he uses them. 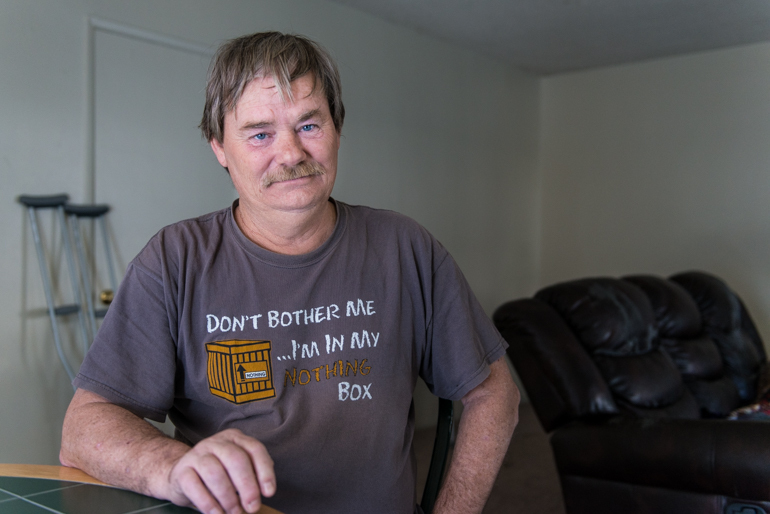 In just one year, he made 62 trips to the emergency room. He rattles off the names of local hospitals in Orange and Los Angeles counties like they’re a handful of pills. At 52, Meade has chronic heart disease and other serious ailments, and he is recovering from a longtime addiction to crack cocaine. Today, he lives with his dog Scrappy in a small apartment in Fullerton. Click here to read this article in its entirety at www.californiahealthline.org. 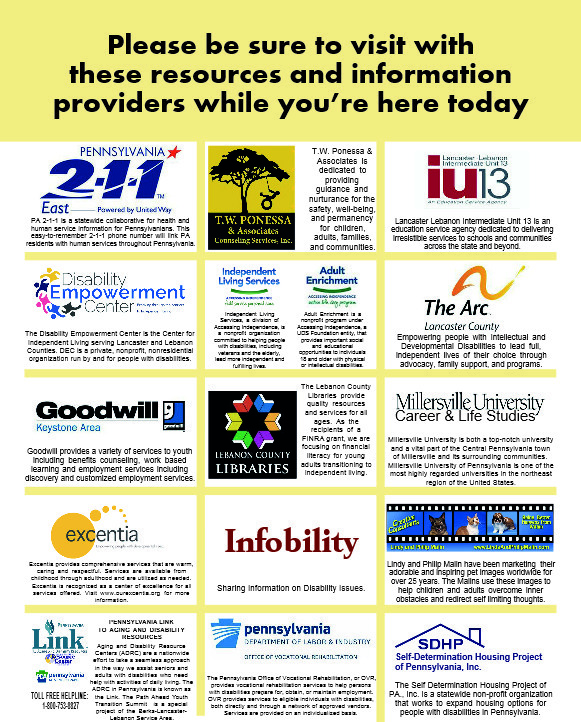 When you attend the first annual youth transition summit – The Path Ahead – at The Winter Center on the Campus of Millersville University on Thursday, June 30, be sure to visit with representatives from these resources and information providers. The Path Ahead is a collaborative special project produced by Lancaster and Lebanon County partner’s networks of the Pennsylvania Link to Aging and Disability Resources. The youth transition summit – free to attend – begins at 8:30 am with registration inside the front entrance of the Winter Center. From 9:00 am to 2:00 pm, the program includes several speakers; panel discussions; networking and information exchange with the Link partner-exhibitors. At the conclusion of the speakers and breakout sessions, 2:00 pm, everyone is invited to a free screening of the important WITF-produced film, I GO HOME, the story of Pennhurst State School and Hospital. If you need more information or require accommodation, contact the Link coordinator by email at blllink@mail.com or text or call 717.380.9714. Click here to read the June 24 newsletter. “Leonard Kijowski, an 88-year-old Ford City resident took care of his wife at home for 12 years. She has Alzheimer’s. “Now she’s in a personal care home, and it’s Leonard who needs help — at least with the small stuff. The caregiving took a toll on him, his son, Alan Kijowski, said. “The Kijowskis are part of a large and growing national network of family caregivers. “In 2013, an estimated 1.65 million Pennsylvanians were caring for their loved ones, according to the AARP. That’s a sizeable chunk of the state’s 12.8 million population. “As the Baby Boomers age, many of them want to stay at home for as long as possible, making family caregiving commonplace in the nation. According to the AARP, there are about 40 million family members in the United States taking care of their loved ones at home. Click here to read this PublicSource article in its entirety. Click here to read Pennsylvania’s C.A.R.E. Act. “It’s a terrifying fact: More than 47,000 people in America died of drug overdoses in 2014 — in what’s been widely called an epidemic. But the biggest killer of this epidemic isn’t cocaine, meth, or even heroin; it’s totally legal opioid painkillers. “Since the 1990s, doctors have been under more and more pressure to treat pain as a serious medical issue. Pharmaceutical companies took advantage of this desire, marketing opioid painkillers like OxyContin and Vicodin as a safe, effective solution to pain. Watch the video and read this Vox report in its entirety here. That’s often the response we got when we announced the first Death Café in Lebanon County on May 21 and in Lancaster County on June 4. We called it that because that’s the name that’s used around the world. We bounced the idea off our partners’ networks and the executive directors of the Manheim Township Public Library and the Lebanon Community Library. The Library partners enthusiastically supported the idea of collaborating and providing the venues for these first Death Cafés. At the Death Cafés, people came together – people who’d not met one another before – to engage in conversations about end-of-life in a non-directed and not-judgmental manner. Each small group table had a moderator / facilitator to make “people feel safe to talk about death.” And to keep the conversation moving should there be a lull. There were no lulls at these Death Cafés. In fact, the time passed so quickly that many were surprised when the two-hours elapsed. Following the Death Cafés, participants volunteered to participate in confidential electronic surveys to share their impressions and thoughts about their experiences. do it. It is enriching. It’s a great and necessary event…good for you! Absolutely and without a doubt, go to the Death Cafe! Go for the experience. Don’t be surprised if you get personal value. The name is a bit of a put off. We did get more than a few emails before and after the events; here are extracts from two we’d like to share. Suggest something for the next Death Café. Complete the form below or call or text 717.380.9714.